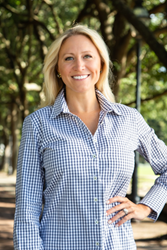 REALTOR® Sarah Marion, a native of South Carolina, has joined The Cassina Group. She will be based in the company’s Mount Pleasant office on Coleman Boulevard. Sarah grew up in Columbia where she attended Hammond School and the University of South Carolina. Upon graduating, she worked in the fashion industry for both Vera Wang and Cynthia Rowley. She also started a private home decorating business before transitioning into real estate. Sarah loves to assist her clients in finding the perfect home for their style and enjoys using her design talents to stage her listings. The Cassina Group is known as Charleston’s innovation-driven real estate firm, with a proven reputation for delivering stronger results though leading-edge technology and building lasting relationships. The company has thirty-six agents with three area offices and they continue to be a leader in the luxury home market. For more information on The Cassina Group, please visit http://www.TheCassinaGroup.com. Previous article“National Dream. Minhan Dream” Minhan international new product conference was held successfully in Linyi, Shandong.